Scarlet Thinking was founded by ex PR turned Business Psychologist Paula Gardner. It offers psychometric personality testing for assessment, development and recruitment, alongside coaching and training for development. Ten years ago psychometric testing and coaching was something that was offered to struggling staff. It was a way for them to get their act together. Now, it’s an investment in your people, a way to bring out the best in your staff and create a workplace where they feel nurtured and valued. Psychometric Personality testing can identify a person’s strengths, motivations, behaviours and drives. It can highlight strengths that they are in danger of leaning upon, and reveal areas for development. The experience can be a individual deep dive that is the foundation of a learning and development plan,. Alternatively, it can be the basis of a fun team exercise suitable for team development days. Personality testing is invaluable for new leaders who may be faced with challenges they have never encountered before. It can also help nurture confidence in young joiners. Finally, personality testing is ideal for recruitment. It allows you to consider if someone not only fits a certain role but also your company culture. Executive coaching can be taken as the next step, to help implement a learning and development plan. Or, it can be taken alone, to help unravel knotty workplace issues, job and career questions or ease someone into a new role and culture. Founder Paula Gardner has worked with business owners, CEOs and executives for over 15 years. She has coached and trained extensively and has written on these topics for The Guardian, Psychologies and HR Zone, amongst others. 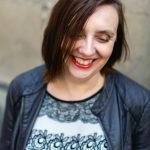 With a background as a PR agency owner, author and speaker, and an MSc in Business Psychology, Paula has been named in a list of 100 inspiring women by F-entrepreneur.com. Clinical psychologist and personal brand consultant, Lisa Orban of Golden Note Book.